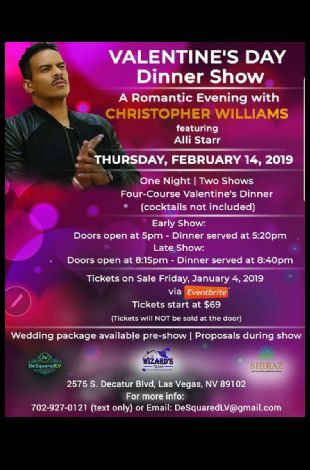 Please note Valentine's Evening with Christopher Williams occurred in past. 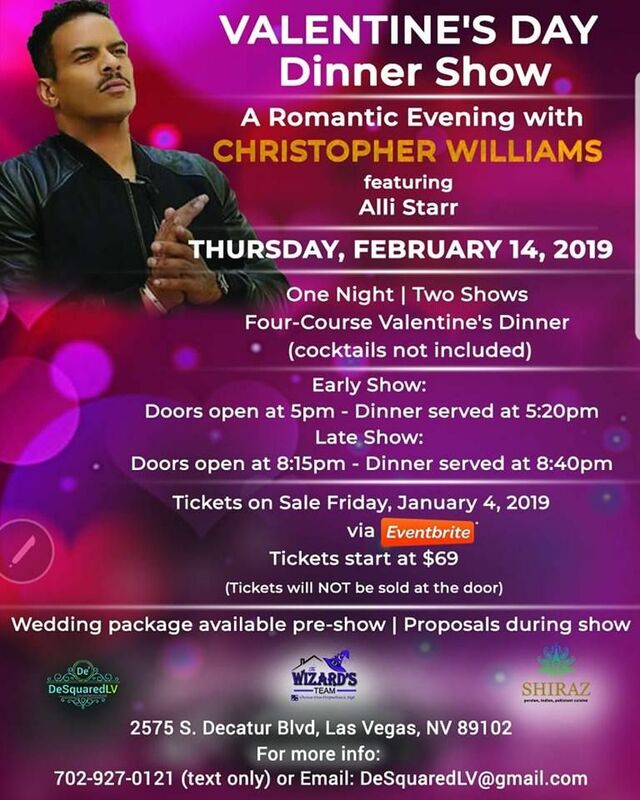 Save the date - Up-close and Personal with R&B legend Christopher Williams - Thursday, February 14th, 2019 "Valentine's Day Dinner Show!" He will perform many of his hit songs such as "Don't You Wanna Make Love," "I'm Dreamin," "All I See," "Promises, Promises," "Every Little Thing U Do" "Come On and Go With Me" "When A Fool Becomes A Man" and more. 1 Day - 2 Shows (5pm & 8:15pm).